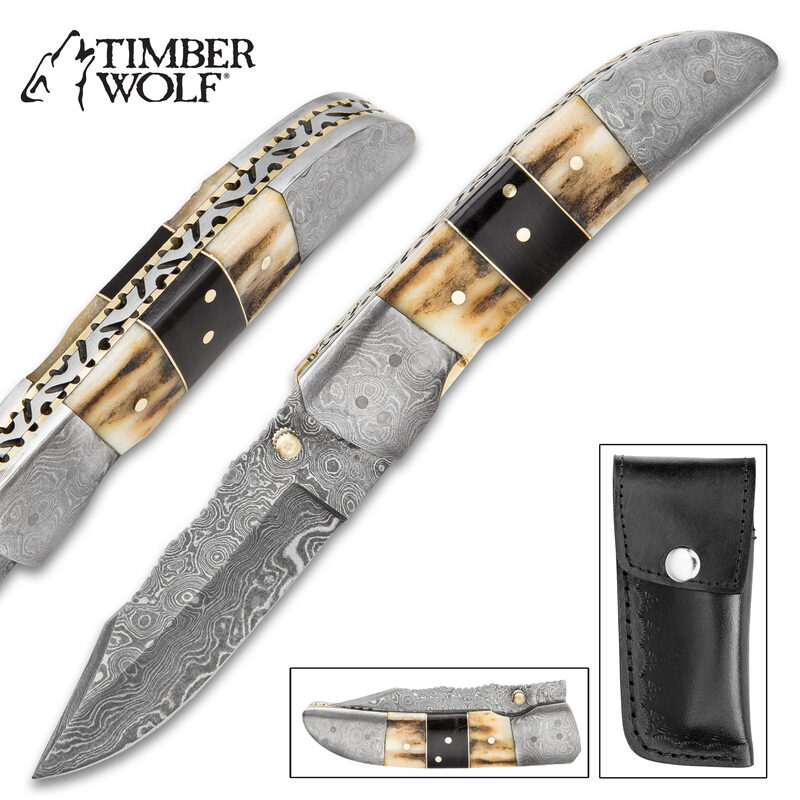 Timber Wolf Damascus And Stag Horn File Worked Pocket Knife - Damascus Steel Blade And Bolsters, Genuine Stag Horn Handle, Brass Accents | BUDK.com - Knives & Swords At The Lowest Prices! 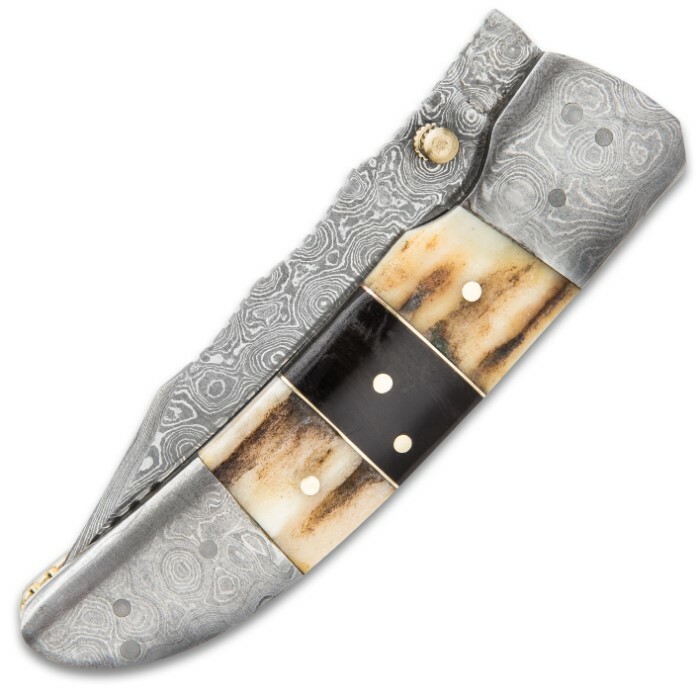 Timber Wolf continues its proud lineage with this top-quality Damascus and genuine stag horn pocket knife. 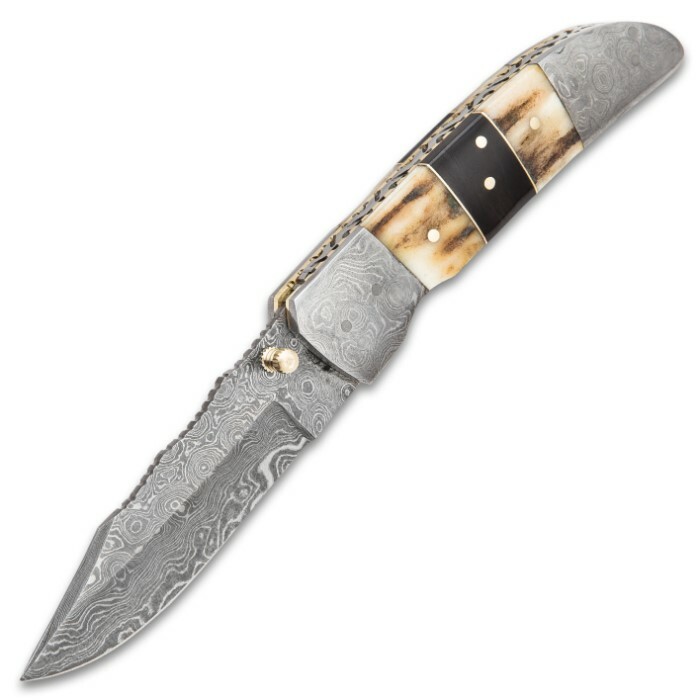 The 3 1/2” Damascus steel blade has a razor-sharp edge with a piercing clip point. The solid brass thumb stud provides fast access to the blade and one-hand opening options. 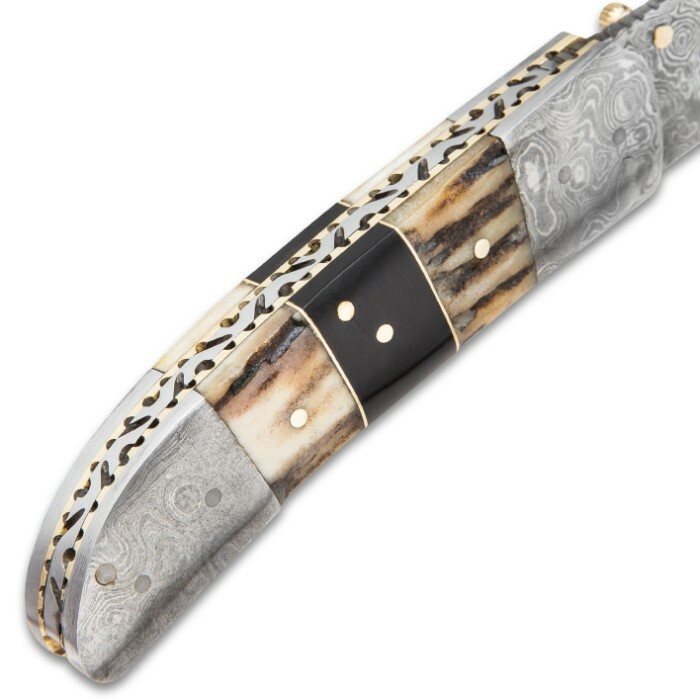 The well-thought-out handle design features decorative Damascus bolsters and smooth, genuine stag horn inlays with file-worked brass liners for a truly collector-quality finish. 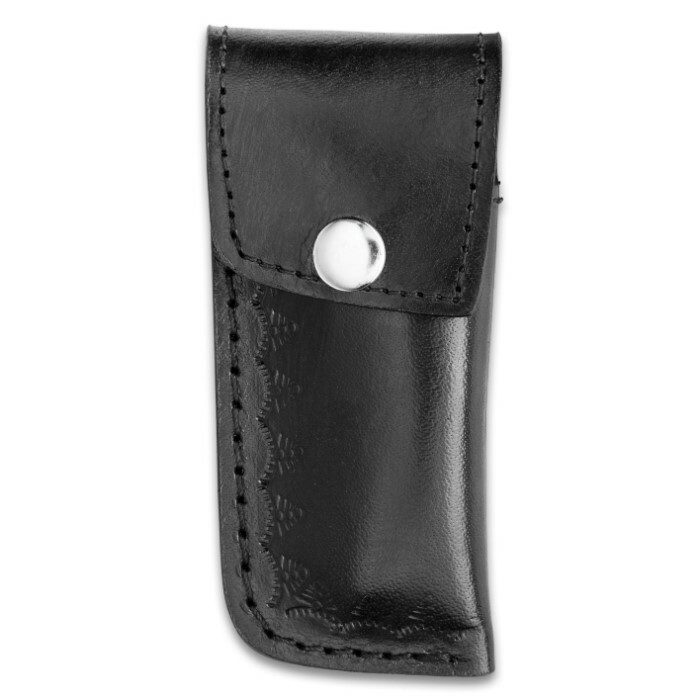 It’s an ideal size for a premium everyday carry pocket knife at 4 1/4" in closed length. This knife combines all the elements of a custom-commissioned piece -Damascus steel, genuine stag horn, brass accents and premium leather sheath - at a price that is unheard of for this caliber of a knife.